Have you ever wondered why some people wake up covered in mosquito bites while others are untouched? Doctors studying malaria transmission have revealed that it is all in the genes. The way we protect ourselves against diseases like malaria could be revolutionised by the discovery that how attractive we smell to mosquitoes and other disease-transmitting insects may be genetically based. New research from the London School of Hygiene & Tropical Medicine (LSHTM) and other centres shows that, for the first time, there is a genetic reason why mosquitoes bite some people more than others, likely to be caused by our genes’ control over our body odour. People who are less attractive to mosquitoes produce natural repellents that ward them off. “By understanding the genetic basis for variation between individuals, we can develop new ways to control mosquitoes better as well as the diseases like malaria which they transmit. And develop new ways to repel them,” said Dr James Logan, senior lecturer in medical entomology at LSHTM. The battle against mosquito-transmitted diseases is an urgent one. Malaria, carried by the female Anopheles Gambiae mosquito, killed an estimated 534,000 people in 2013, says the World Health Organisation. Teams at LSHTM, the Universities of Nottingham and Florida ran trials using 18 identical and 19 non-identical female twins. “Identical twins are genetically identical and non-identical twins show genetic differences. If attractiveness [to mosquitoes] is down to our genes, we would expect to see a high correlation between the identical twin pairs and a lower correlation between the non-identical twin pairs. And this is exactly what we found,” says Dr Logan. Female mosquitoes need protein-rich blood for the energy required to mate and lay eggs. They display preferences for the smell of certain people when they choose whom to bite. However, these are not solely genetic. 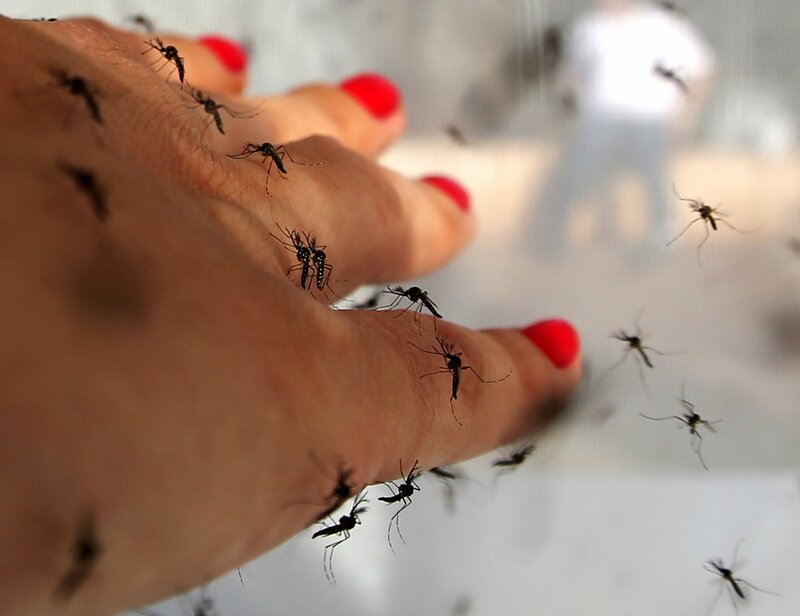 Pregnant women are more attractive to mosquitoes than their non-pregnant counterparts and people with a greater body mass also appear more prone to bites. More than 430,000 African children under the age of five died from malaria in 2013. An estimated 1.3 billion people worldwide risk contracting various forms of the disease. The list of famous people who have contracted malaria or died from it includes Alexander the Great, Genghis Khan, Oliver Cromwell, Lord Byron, Mother Teresa of Calcutta, Michael Caine, five Popes and Christopher Columbus.